When I had my baby, one of my first orders of business was enrolling in a weekly Mommy & Me class. It can be lonely hanging out at home with a newborn, so I looked forward to socializing with other moms who had infants the same age. Over the next few months, I did make some friends, but I also made some frenemies. Let’s just say there were at least five women who annoyed the crap out of me on a regular basis. Do any of these moms sound familiar to you? This ray of sunshine will find the nightmarish danger in every parenting choice you make. Your sippy cup? It’s full of toxic chemicals! That cute teether? Total choking hazard! Oh and she loves your new stroller — it’s too bad they just issued a recall, didn’t you hear? Don’t accept Debbie Downer’s Facebook friend request unless you want your feed flooded with terrifying baby-in-jeopardy articles, which are so helpful and not at all anxiety-producing in hormonal new moms, thanks. She seems nice at first; then, she’ll invite a few select moms to lunch after class, or to a play date at her house, posting the photos to Instagram so you’ll be sure to know you weren’t invited. Sure, that’s the Queen Bee’s prerogative, but it feels like getting snubbed by the popular clique in high school all over again. Just to twist the knife, this mom has probably lost all the baby weight and sports a fresh blow-out each time you see her. This mom is a great listener — when she’s doing the talking. Which is often. She is amazing at monolopizing the conversation and turning any topic into a story about her life. 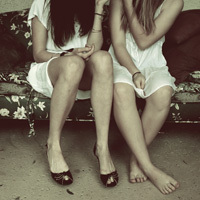 When someone else speaks, that’s her cue to space out (or not-so-subtly check her phone). You wouldn’t care about her bad manners so much if she hadn’t just steamrolled over the postpartum depressive who’s quietly sobbing in the corner. Way to kill the group therapy dynamic. The clearly posted sick kid rules don’t apply to Typhoid Mommy, who brings her coughing, sneezing baby to class and lets his torrent of green snot coat all the shared toys in the play circle. This isn’t a morally ambiguous situation, like sneaking a sick baby into day care so you don’t lose your job. It’s totally voluntary Mommy & Me class. Stay home! P.S. Everyone hates you. 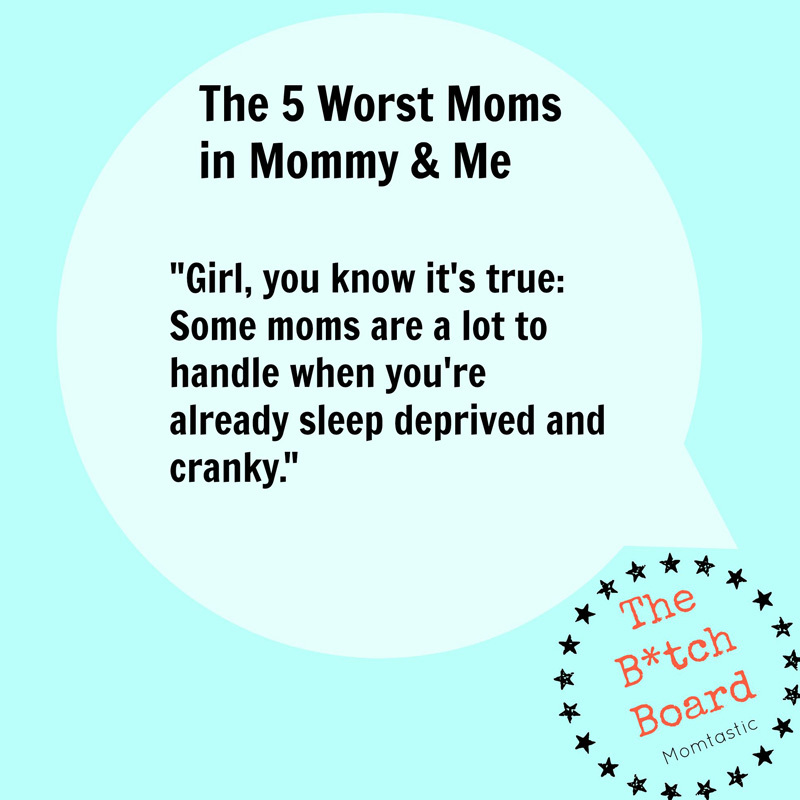 I may be the sixth worst mom in the group (you can call me “B*tchy Mom”) but girl, you know it’s true: Some moms are a lot to handle when you’re already sleep deprived and cranky. At least their babies are cute.